BLOOMINGTON, Minn. – Feb. 4, 2019 – Following Week 17 of the 2018-19 season, the men's Western Collegiate Hockey Association (WCHA) is proud to recognize four student-athletes as its Players of the Week. The honorees for games of Feb. 1-2 are: Lake Superior State senior Anthony Nellis (Forward) and junior Collin Saccoman (Defenseman) and Minnesota State freshmen Dryden McKay (Goaltender) and Julian Napravnik (Rookie). Lake Superior State's Anthony Nellis scored a WCHA-leading three goals and added two assists to tie with teammate Diego Cuglietta for the WCHA lead in points (5) on the week. Nellis' performance helped Lake Superior State to a two-game WCHA series sweep at Ferris State. Nellis tied with teammate Ashton Calder for the WCHA lead in power-play goals, while leading the WCHA in power-play points (3), shots on goal (11) and shots on goal per game (5.50) on the week. Nellis also tied for the most goals scored and the most power-play goals scored in the nation. Nellis began the week with two goals and one assist for three points as Lake Superior State defeated Ferris State 6-3 on Friday. He then backed up Friday's performance with one goal and one assist for two points in Saturday's 4-2 victory. In addition, he recorded a +2 rating. 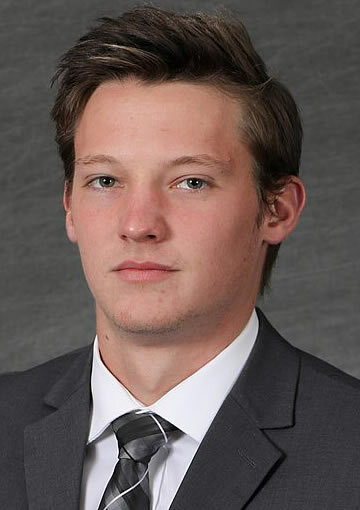 Honorable Mention: John Schilling, Sr., Bowling Green (assisted on the tying goal and scored the game-winning goal in overtime in Bowling Green's 3-2 OT win at Northern Michigan on Friday; finished the weekend with two goals and an assist). 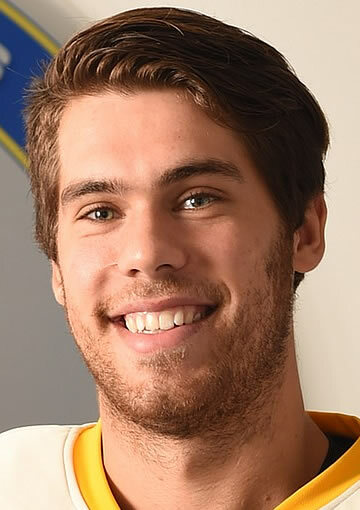 Lake Superior State's Collin Saccoman was stellar on both the offensive and defensive ends of the ice in the Lakers' series sweep at Ferris State – tallying one goal (a game winner) and one assist for two points in the series, and tying for the most blocked shots (nine) in NCAA Division I men's hockey on the week. Saccoman began the weekend with an assist, five blocked shots and a +1 rating in Lake State's 6-3 win on Friday. He then scored the game-winning goal, tallied four blocked shots and garnered a +2 rating as the Lakers completed their road sweep of the Bulldogs with a 4-2 victory on Saturday. With his goal, Saccoman increased his season goal total to nine – the highest goal total by a WCHA blueliner in 2018-19. 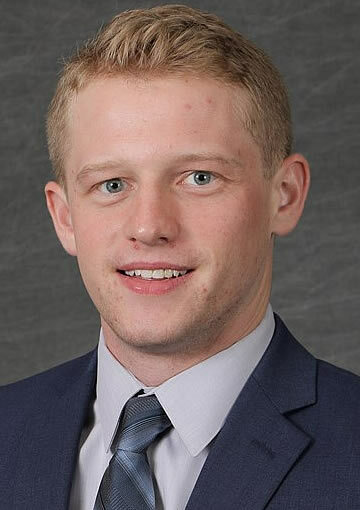 Honorable Mention: Jack McNeeley, So., Minnesota State (recorded three assists, one shot on goal, one blocked shot and a +4 rating in the Mavericks' home sweep of Alabama Huntsville). 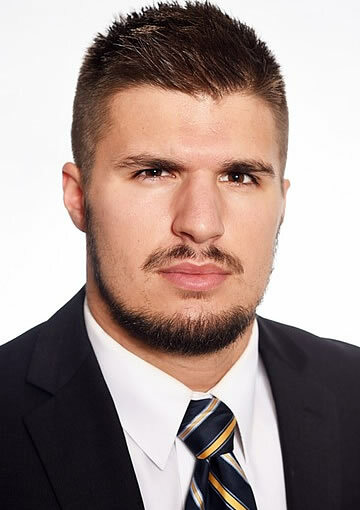 Honorable Mention: Mareks Mitens, So., Lake Superior State (stopped 26 shots and recorded a .929 save percentage to backstop the Lakers to a 4-2 win at Ferris State on Saturday to complete Lake State's first road sweep of the Bulldogs since 1993). Minnesota State freshman forward Julian Napravnik scored twice and added two assists in helping No. 6 Minnesota State to a pair of home league wins over Alabama Huntsville. Registered nine shots on goal and had a +3 rating for the weekend. Scored his second game-winning goal of the season in Friday's 6-1 victory over the Chargers. Assisted on Chris Van Os-Shaw's game-winner in Saturday's 4-0 triumph. The Bad Nauheim, Germany, native 19 points on seven goals and 12 assists in 29 games in his first year of college hockey. Honorable Mention: Cooper Zech, D, Ferris State (Recorded two assists, one blocked shot, one power play point and four shots on goal in Ferris State's series with Lake Superior State); Ashton Calder, F, Lake Superior State (tallied two goals and one assist in Lake Superior State's 6-3 win at Ferris State on Friday for new career highs in goals and points).